MCLAB's All-In-One 5X Reverse Transcription Mix Kit is optimized to synthesize the first strand cDNA for RT-PCR and RT-qPCR. First Strand cDNA Synthesis Kit can be used to synthesize the first strand cDNA. SmartRTTM Reverse Transcriptase is an engineered MMLV RT that improves the thermostability of the enzyme, reduces RNase H activity and its cDNA synthesis ability. The enzyme also has a terminal transferase activity, where it adds a few extra nucleotides to the end of the synthesized cDNA. 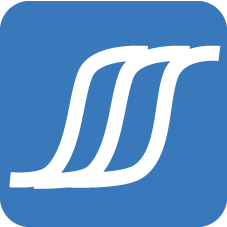 Together with a 3’ modified oligo dT primer and a 5’ SMART universal oligo, which contains a terminal complementation to nucleic acids at the 3’ end of the first-strand cDNA, the SmartRTTM reverse transcriptase will produce RACE ready full-length cDNA. Phage RNA polymerases are widely used for in vitro synthesis of RNA transcripts from DNA templates, which have a double-stranded promoter (at least 19 bases) upstream of the sequence to be transcribed. 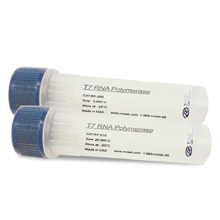 The RNA Poly(A) Tailing Kit provides a highly pure and active enzyme and other reagents for quickly and easily adding a poly(A) tail to the 3' end of any RNA. QuantumScriptTM HD Reverse Transcriptase is a unique mutant version with increased thermostability and reduced RNase H activity. It can be used to synthesize the first strand cDNA by reverse transcription (RT) at higher temperatures than other types of Moloney Murine Leukemia Virus (M-MuLV) RT to reach higher cDNA yields for difficult RNA transcriptions. Universal Reverse Transcriptase is a mutation of M-MLV reverse transcriptase with a reduced RNase H activity and increased thermostability. T7 RNA polymerase is a DNA-dependent RNA polymerase that catalyzes the formation of RNA in the 5′→ 3′ direction. Poly(A) Polymerase from Yeast works more efficiently than E. coli Poly(A) Polymerase for RNA oligonucleotide-labeling and poly(A) tailing. Quick info Close Poly(A) Polymerase, E. coli.